In Annapolis, where nautical gift shops and starched uniforms are often stacked on top of one another, a jewelry box-sized showroom on West Street is bringing some unforeseen wind gusts to the city’s sails. 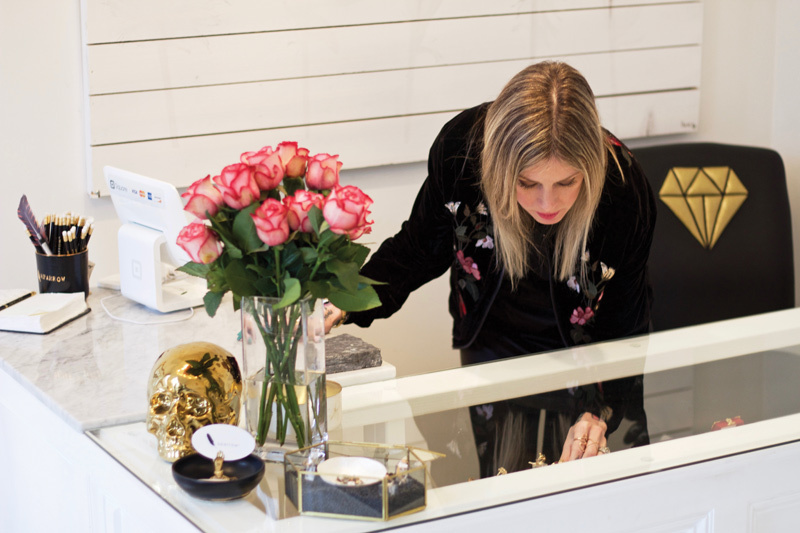 Gabrielle Herbst has channeled her flair to create Sparrow, an unusual jewelry boutique. It’s a combination of a white-walled, sunshine-filled voodoo apothecary and a high-end jewelry store. Black suede chokers are displayed on gold skulls. Offerings include rings made of gold snakes with garnet eyes, rose-gold webs with opal spiders, labradorite skeletons, or sterling silver lace inlaid with moissanite. Don’t worry, Herbst can explain in depth what labradorite and mossanite are; she’s probably wearing one of them at the moment. Her tattooed hands sparkle with a variety of stacked rings that outnumber her fingers. Herbst also wears an evil-eye shaped, antique diamond ring that was passed down from her grandmother. Herbst’s grandmother’s ring and other pieces of jewelry that trickled down to her from previous generations were so special and beautiful to Herbst that she became inspired to open a shop that sold solely antique jewelry. The shop’s name came from her love of antique birdcages. She bought ten of them and rented a space in West Annapolis, but soon came to see a bittersweet reality when her business faltered; bitter because Herbst had to alter her original vision, yet sweet because she could now find and develop modern one-of-a-kind designer pieces that will be future heirlooms just like her grandmother’s ring. 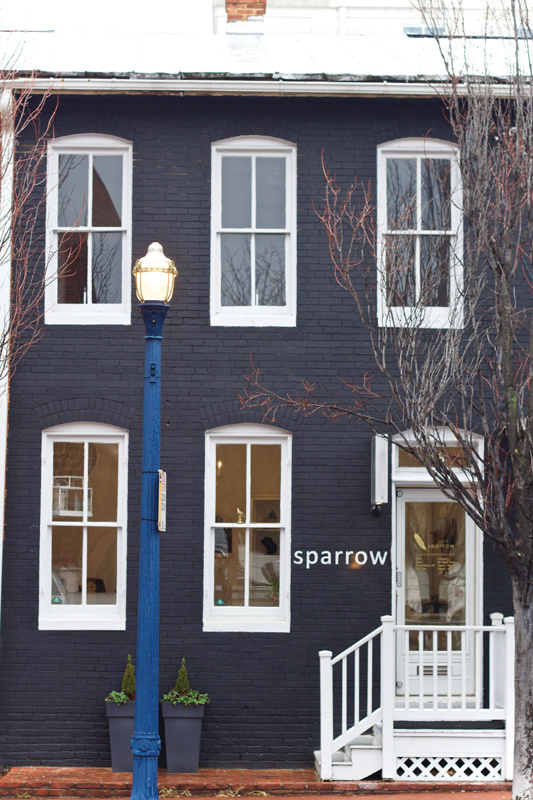 The Sparrow of today is not what it was when it first opened in 2014. The switch from old to new started with a change in the shop’s location. In 2016, when Herbst and her husband, Scott, decided to open their second restaurant, Sailor Oyster Bar, they carved out an adjoining space for Sparrow. She painted the walls and floor a glowing white, went dumpster diving for marble, and hung the only remaining birdcage from the past location in a window facing West Street. Then came a new method of finding designers. She had to move her eye from the streets to the Web. With help from Instagram, Herbst’s catalog of designers continues to grow, and each brings a different style to the gold and glass cases of Sparrow while perfectly aligning with Herbst’s killer stylistic vision. Artists from New York bring an edge, designers from California have a more natural aesthetic, and local talent creates items only sold at Sparrow. It’s not easy getting on the marble in Sparrow. Due to the massive community of jewelers on Instagram, Herbst can be choosy and keep her expectations high while still having a little something for everyone. If she comes across a designer who piques her interest, she’ll do her research: Is every piece handmade in a small production atmosphere? 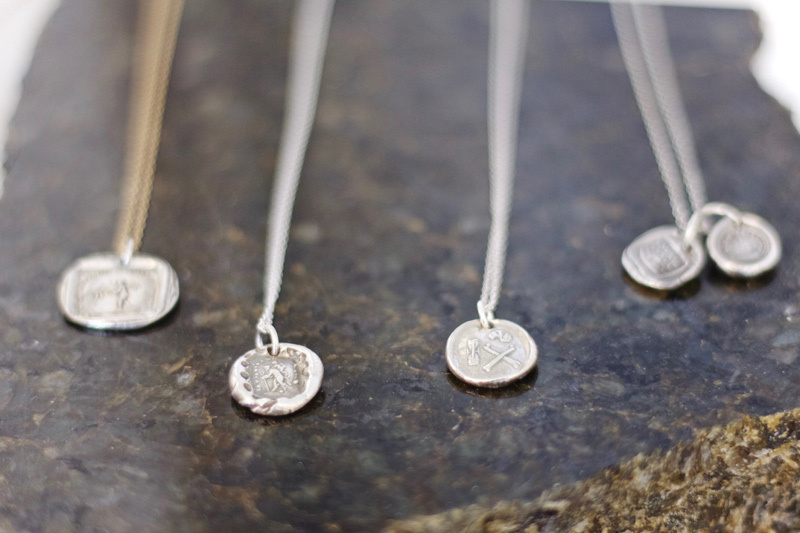 Do the designers ethically source their stones? Do they use recycled materials? Is anything plated? (If so, that’s a no-no.) Herbst explores the metals and stones that each designer works with to ensure that what she’s offering to her clients is of honest quality. “If it looks like a diamond, then it’s a diamond,” she says. “It’s not a crystal or a cubic zirconia. Those kind of things are important to me.” She doesn’t mind hunkering down and searching for new products because she prefers hard-to-find designs to those that she calls “mass-produced and saturated.” Herbst intends all items offered for sale at Sparrow to be special. Most of the things that go through the shop will never be seen again, and if ordered for a second round, will have a new combination of elements, per Herbst’s design. Sparrow’s originality and Herbst’s passion and knowledge do not go unnoticed. Her ideas and design skills have attracted a growing number of clients requesting custom orders—a timely and intimate back-and-forth process that she enjoys. Recently, the tiny West Street shop has changed its Tuesday hours to “by appointment only,” so that customers don’t have to compete for her time. 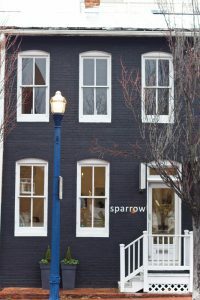 As more items are added to Sparrow’s website, orders come in from farther away. Error: Error validating access token: Session has expired on Saturday, 09-Mar-19 15:57:50 PST. The current time is Tuesday, 23-Apr-19 09:25:36 PDT.